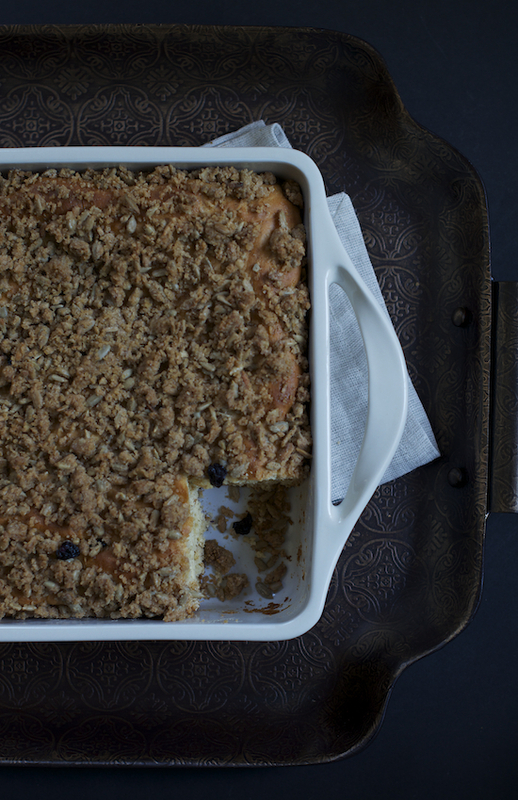 I love everything breakfast and brunch, and this coffeecake is a great addition to the repertoire. In fact we had it yesterday afternoon with tea. I haven't made granola in a while so it was a great excuse to make a double batch, this time with dried blueberries. A wonderful recipe brought to you by the great folks at Red Star Yeast as you are heading into the 4th of July weekend. I hope you enjoyed your time yesterday BBQ-ing and watching the fireworks with family and friends. This post is a part of my professional collaboration with Red Star Yeast. See the entire series in the links at the bottom. In a large mixer bowl with a dough hook attachment, combine 1 1/2 cups flour, yeast, sugar, salt and granola, mix well. Heat up milk, water and butter in a small saucepan to 120-130F. Butter does not have to completely melt. Add to the flour mixture and beat on low for 2 minutes. Add the eggs and continue beating for 3 minutes longer. Scrape the sides of the mixer bowl with a rubber spatula throughout the process. 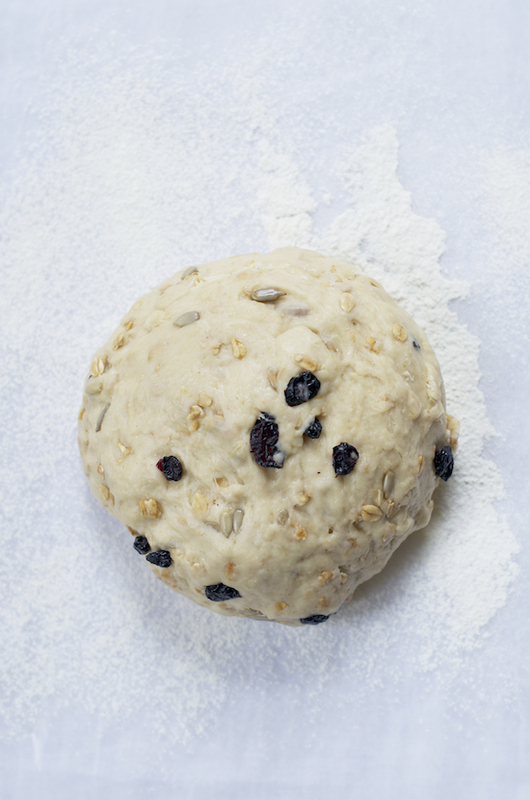 Gradually add the remaining flour and beat for a few minutes on low speed until nicely incorporated and dough is smooth, moist and supple. Transfer to a heat resistant large glass or ceramic bowl, cover with saran wrap and let rise for approximately 45 minutes in a warm place. Mix all the topping ingredients. In a 13x9 pan spread the dough evenly with your fingers. Spread the topping on the dough evenly. With a back of a teaspoon press randomly into the dough to make some indentations. Cover with saran wrap and let rise in a warm place for 30 minutes. Preheat oven to 375F. Bake for 30-35 minutes. 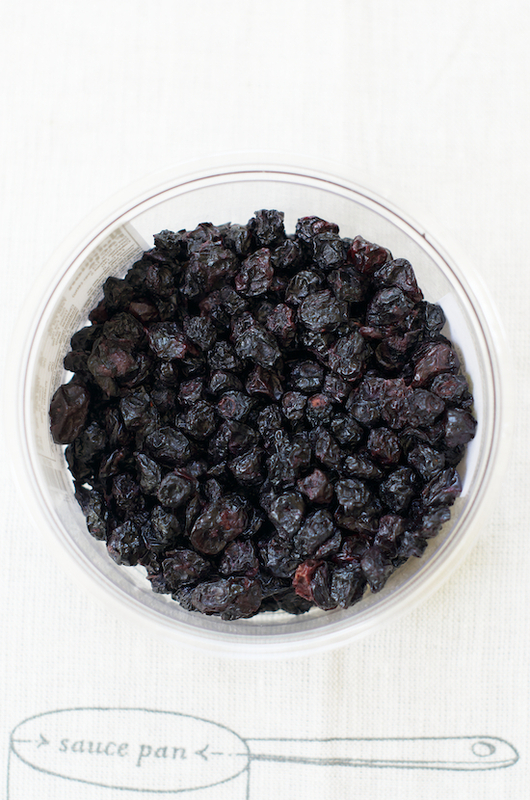 Oven temperatures vary so watch your coffeecake. It took me only 30 minutes. A wonderful treat! Such coffecakes are always extremely enjoyable. Looks delicious.. Love the textured tray you used in the bottom.. Beautiful! I love granola, what a tasty coffeecake! 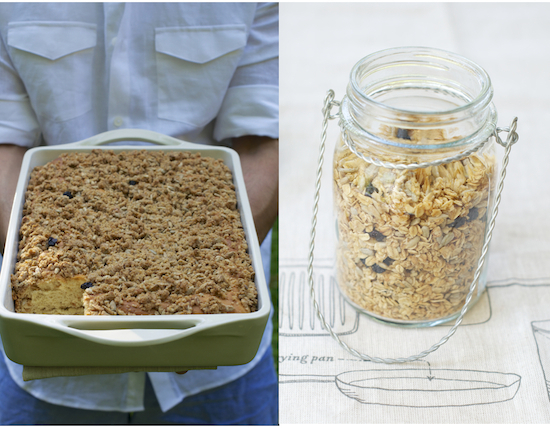 Granola and coffeecake deliciousness!! Yum and I want!! So in love with the styling in these photos! Yeast is my favorite ingredient in the kitchen I think. 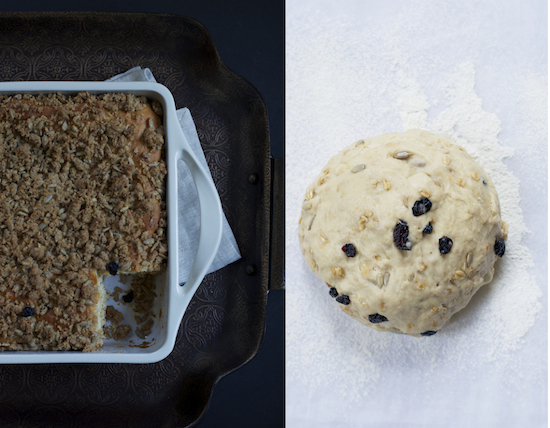 Granola inside the dough? So ingenious! The seeds on top are another plus. Gorgeous Shulie! 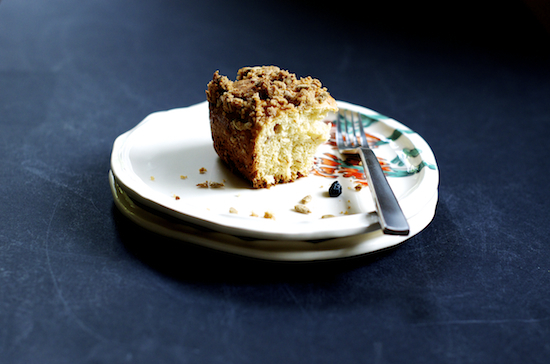 What a tempting coffee cake...I love that it uses granola...especially a homemade blueberry granola! And sunflower seeds in the topping? Another delicious touch! לכולם בארץ יש עכשיו שיגעון הכנת גרנולה בבית, אבל היות ואני לא אוכלת ארוחת בוקר, אני הולכת על הרעיון שלך. עוגת שמרים עם גרנולה נשמעת נהדר, והיא גם ניראית ממששששששששש טוב!! Hi Winnie, I eat the granola as a snack throughout the day. :) & TY so much let me know when you try this. 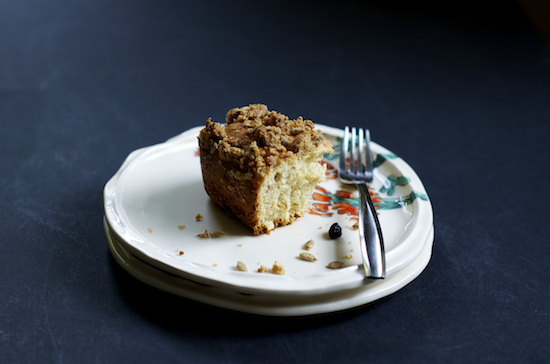 Yeast coffee cake is delightful and you never see enough recipes for it. This is so clever with the granola too!